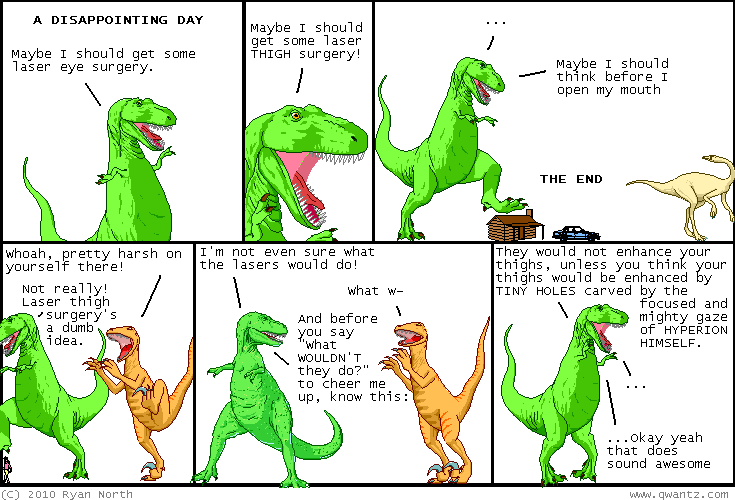 Dinosaur Comics - May 31st, 2010 - awesome fun times! –Taste is kind of baloney, you guys! May 31st, 2010: If you want to see a mobile-friendly version of my site, add ?mobile=1 to the end of the URL! There's also a iPhone version that Brian helped me with, available if you add ?mobile=2 to the end of the URL. If you click those links on a non-mobile device though, the site is just going to look dumb, and that will just be TOO BAD.